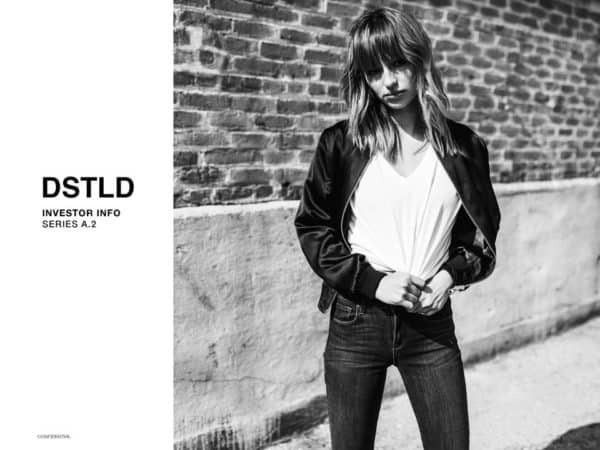 DSTLD, a company that wants to disrupt the $200 billion fast fashion market with fairly priced, direct-to-consumer premium clothing (like jeans), has returned to SeedInvest to crowdfund their Series A-2 round. Previously, DSTLD raised $1.7 million under Reg A+ crowdfunding rules. The company has returned using the same exemption seeking up to $10 million by selling preferred equity at $0.50 a share. The company has a $30 million pre-money valuation in contrast to their post money valuation of $23.7 million from their earlier round. According to their Offering Circular, DSTLD is experiencing respectable quarter over quarter sales growth. Along with purchasing a security in the company, investors also receive perks of discounts to shop with the online only retailer. Use of additional funding will largely be used for marketing and operational costs to fuel growth in the competitive space. If DSTLD raises the max amount they expect to expand the category line. In many ways DSTLD is a perfect candidate to crowdfund growth capital. A consumer facing product that is growing in popularity and thus attracting more potential crowd investors lends itself to crowdfunding. I must admit, I happen to be DSTLD fan. DSTLD has received the backing from pretty big VC names like Plus Capital, Creative Artists Agency (CAA), Wavemaker Partners, Baroda Ventures, Amplify.LA and CrunchFund. They have also successfully placed product with a good list of celebrities like Kendall Jenner, Gigi Hadid, Bella Hadid, Selena Gomez, Reese Witherspoon, and Lea Michele, to name a few. The crowdfunding offer on SeedInvest is open to all investors with a minimum investment of $1000. This entry was posted in Offerings, Uncategorized and tagged dstld, regulation a, seedinvest. Bookmark the permalink.